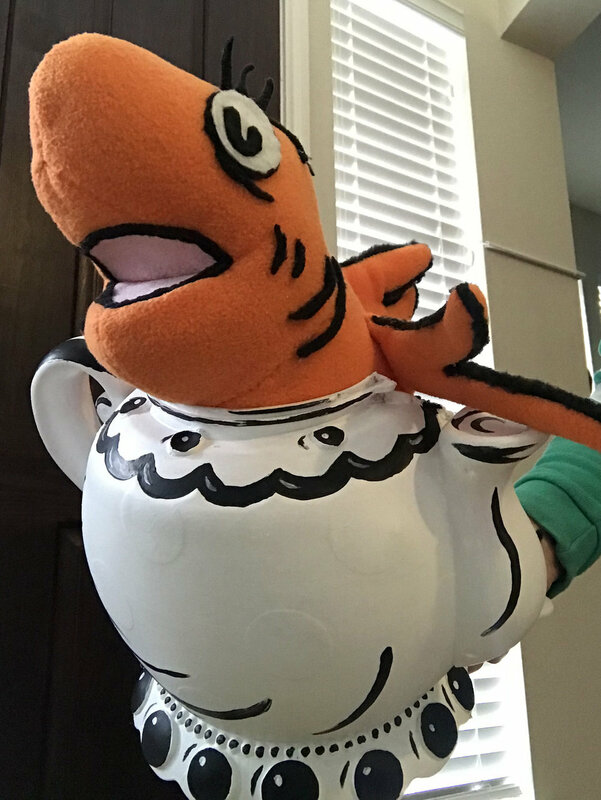 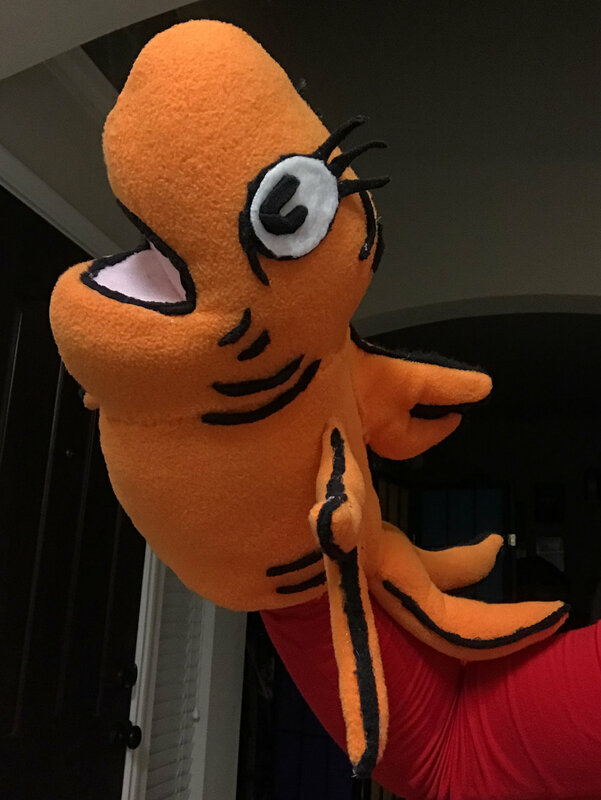 Rent this fish puppet along with his bowl and teapot for your production of "The Cat in the Hat"! 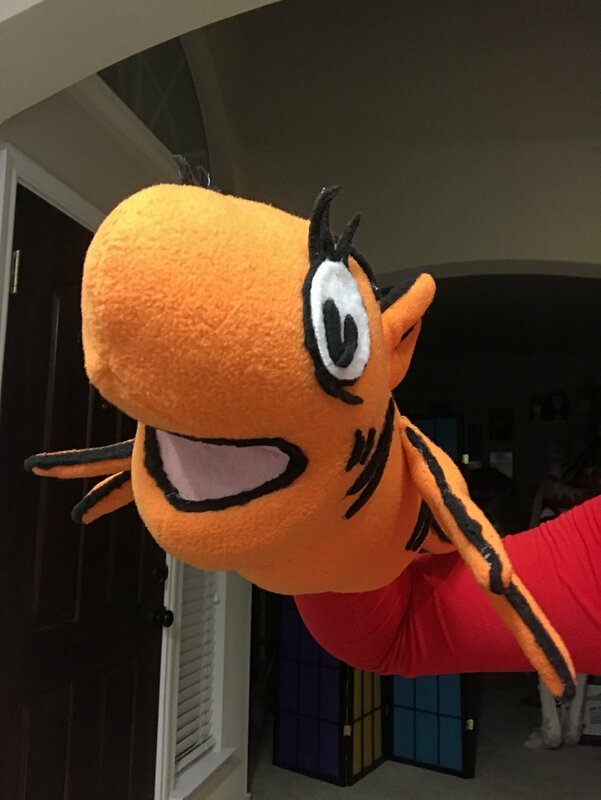 Created in GiGi's Workshop, this puppet is ready to shine. 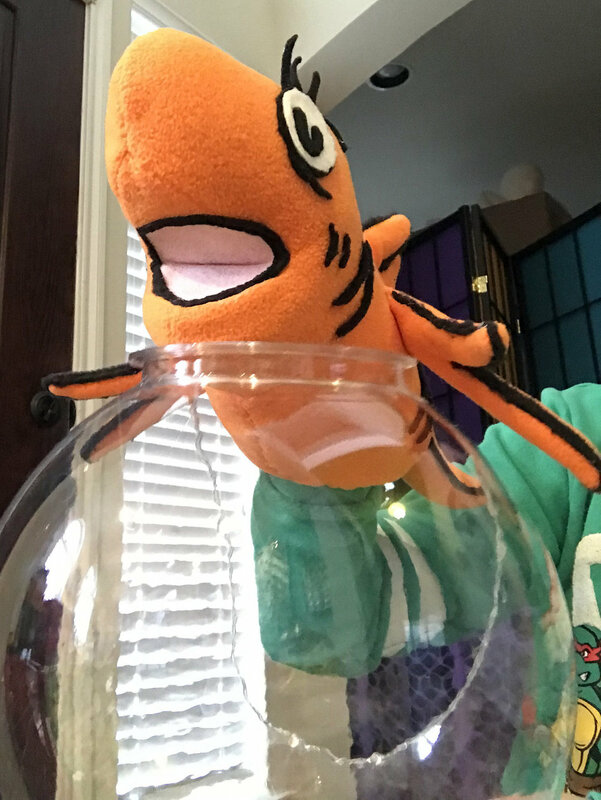 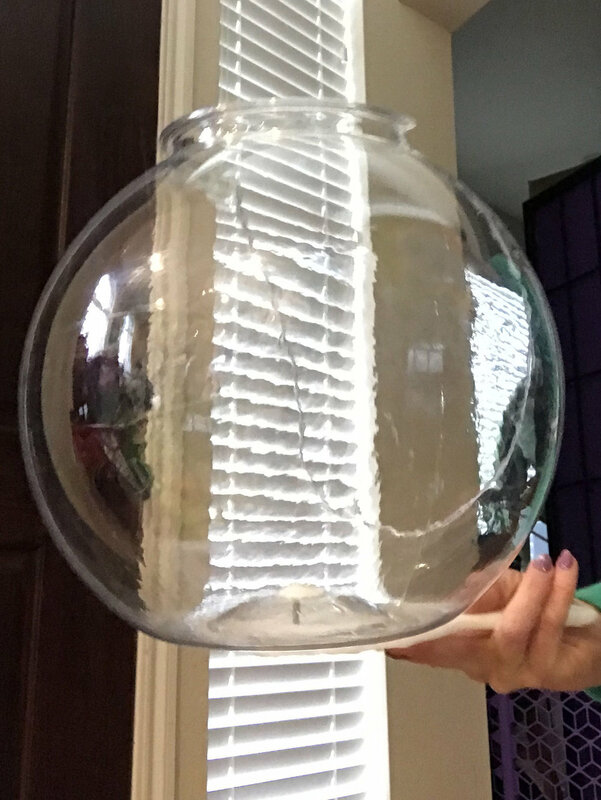 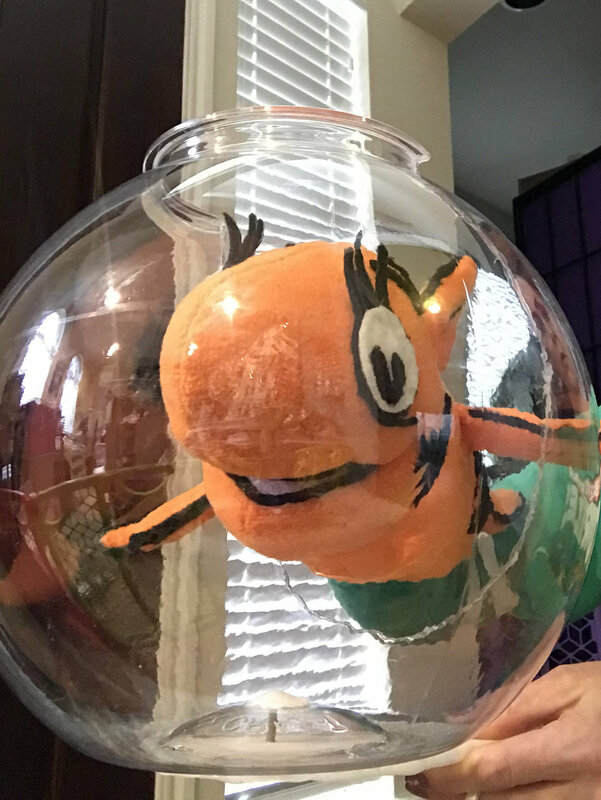 The fish bowl features a handle to hold the bowl along with and a hole in the back so the puppeteer has easy access to maneuver the fish while in the bowl. 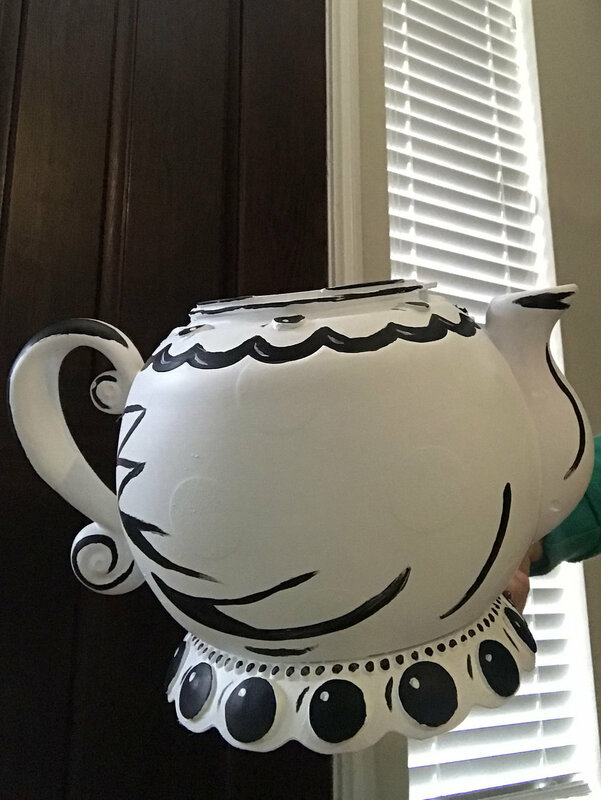 The teapot also features a hole in back so the puppet can stick out of the pot, and also has a handle on the bottom for the puppeteer to hold.